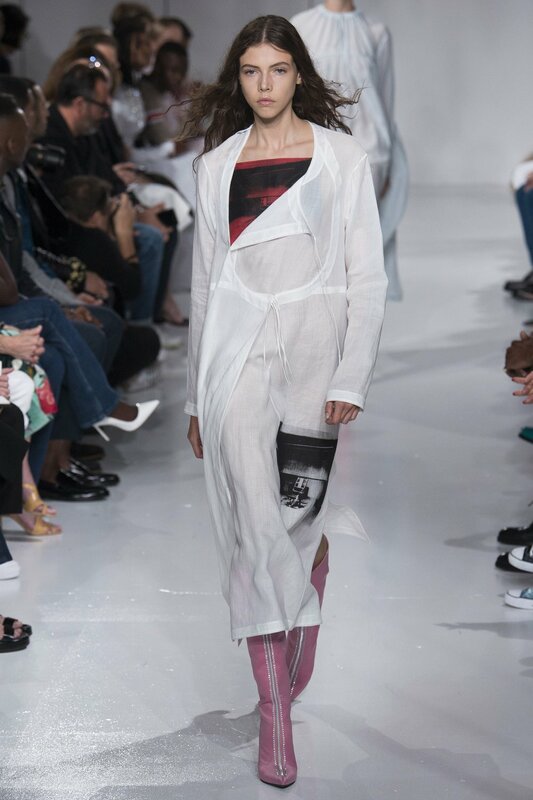 This New York Fashion Week, Raf Simons’ latest collection for Calvin Klein effortlessly strutted down the runway, and I watched it all from the other side--backstage. 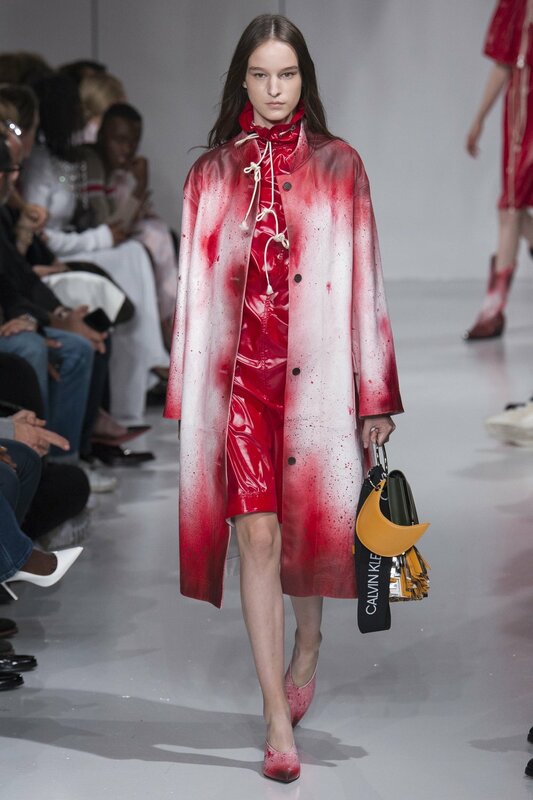 Simons sought to highlight both the lightness and darkness of American culture and history, opening the show with cowboy boots and silky diner-style outfits that moved to classic Calvin Klein pieces embellished with Andy Warhol and Sandra Brant pop art prints. Setting the scene of a horror movie, metal buckets and fringe pompoms hung above the runway in reference to the prom scene from Carrie accompanied by axes inspired by The Shining. The collection sported the thriller theme as well, featuring Hitchcock blondes in latex down to the gloves, gauzy nightgowns, and tank tops with horror prints. Simons’ playful nod to Hollywood was his way of commenting on the world outside. Orchestrating a runway show that highlights the collection and expresses the message and motivation of the designer is no simple task; those fifteen minutes of show time have to say it all. Working backstage as an intern, I got a taste of just how much work goes into it as over the week leading up to the show, my life took place mostly inside Calvin Klein headquarters. 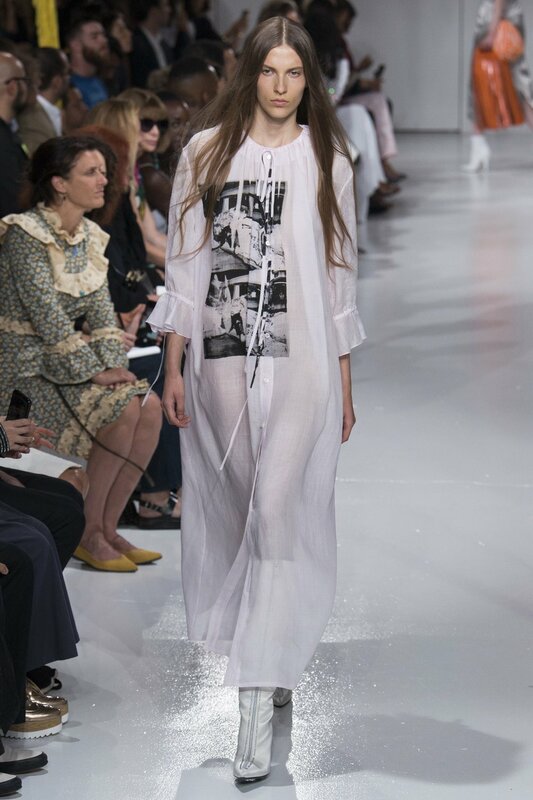 Whether I was suppressing the urge to fangirl next to Raf Simons in the elevator or struggling to stay awake in the fitting rooms at midnight, I was thrilled to be immersed in the chaos as the show date approached. As a part of it, I got to see a little bit of everything, from models who had been featured countless times in Vogue to one who explained to me how she had just been discovered the previous week in a Chipotle. I was an aid to the production team with tasks like helping manage the castings, creating the look boards, and organizing backstage affairs, but what I felt was one of the best aspects of working a fashion show was witnessing people come together to make it possible. Every part of the process is a collaborative effort that draws on the vision of the creative director, the hard work of the design team, the logistics and planning of the production team, and the dedication of the many individuals that make the whole--not to mention the help of Olivier Rousteing, the Creative Director of Balmain beloved by the Kardashians, who styled the looks. The process is overall exhausting--from casting models and styling the looks to setting up the runway and beyond. A fashion production does not exactly run as glamorously as you would think. 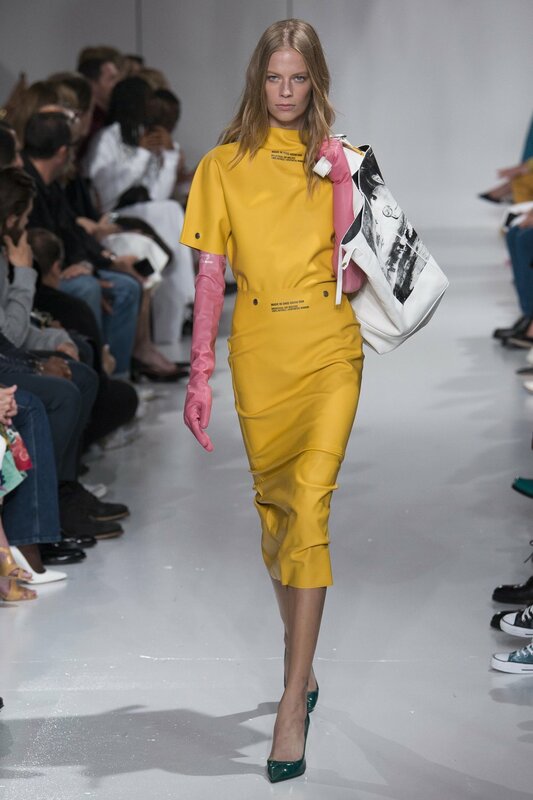 Nonetheless, the effort paid off as Vogue named the collection one of the 12 best of Spring 2018, and as I watched the live stream from backstage, I felt proud to have been a part of Calvin Klein’s American horror story. Models Ernesto and Alyda and me at the Calvin Klein after party. Photo: Serichai Traiproom for W Magazine. Dayna is a Princeton sophomore who has worked for V Magazine, Calvin Klein, and PR Consulting. Her favorite style icon is Cher from Clueless and she wants to be Alessandro Michele when she grows up.